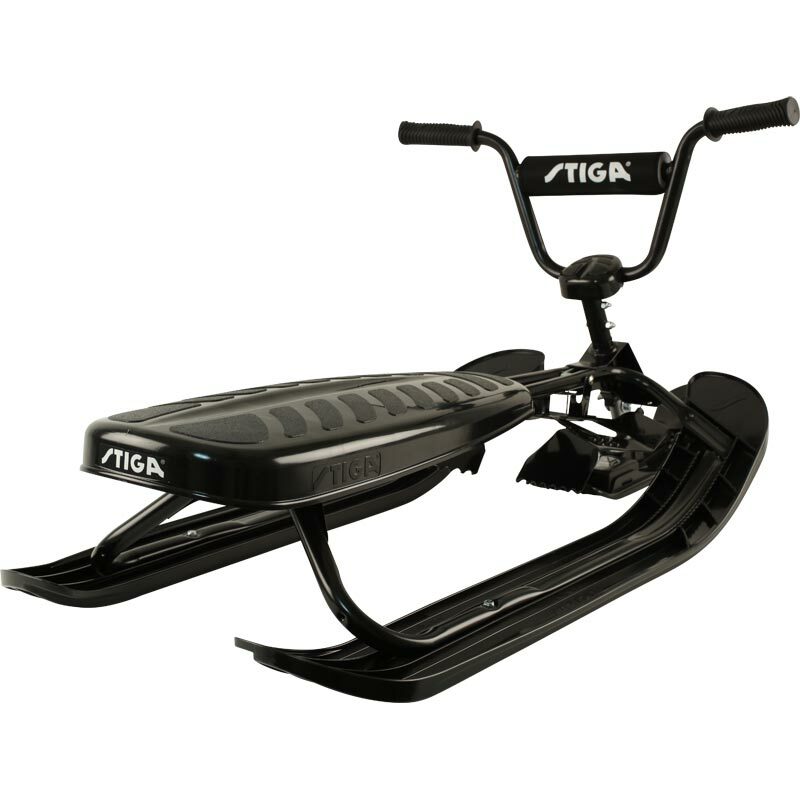 Stiga ® Snowracer SX Pro Snowracer. 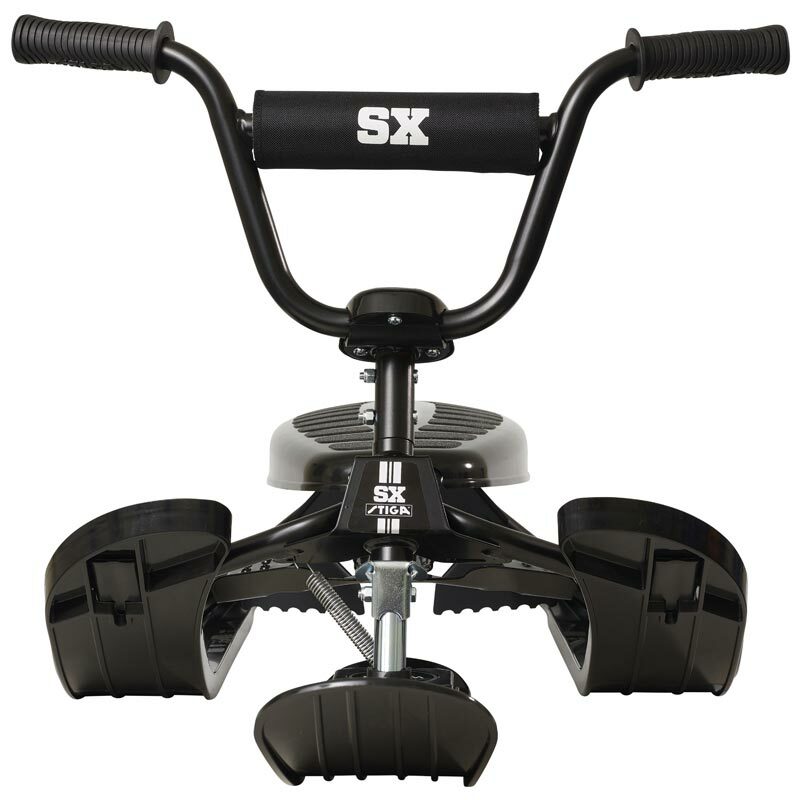 Snowracer X-treme takes the steering and maneuver of the Snowracer to another level, equipped with handlebar and the handles in non slip material. The bar of the handlebar covered with protective foam. 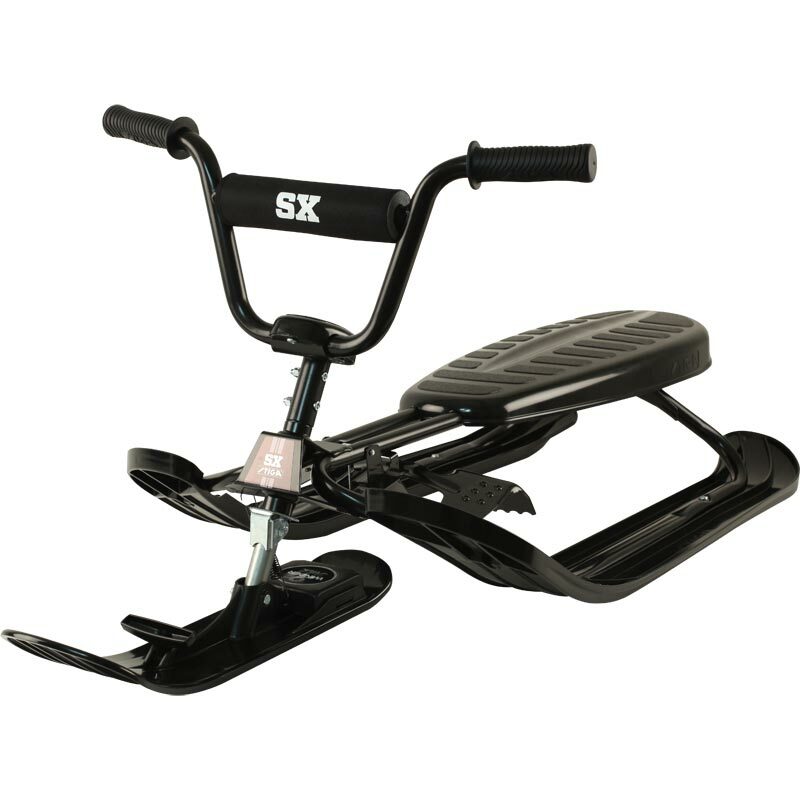 Curve Ski System and a robust frame in black color. 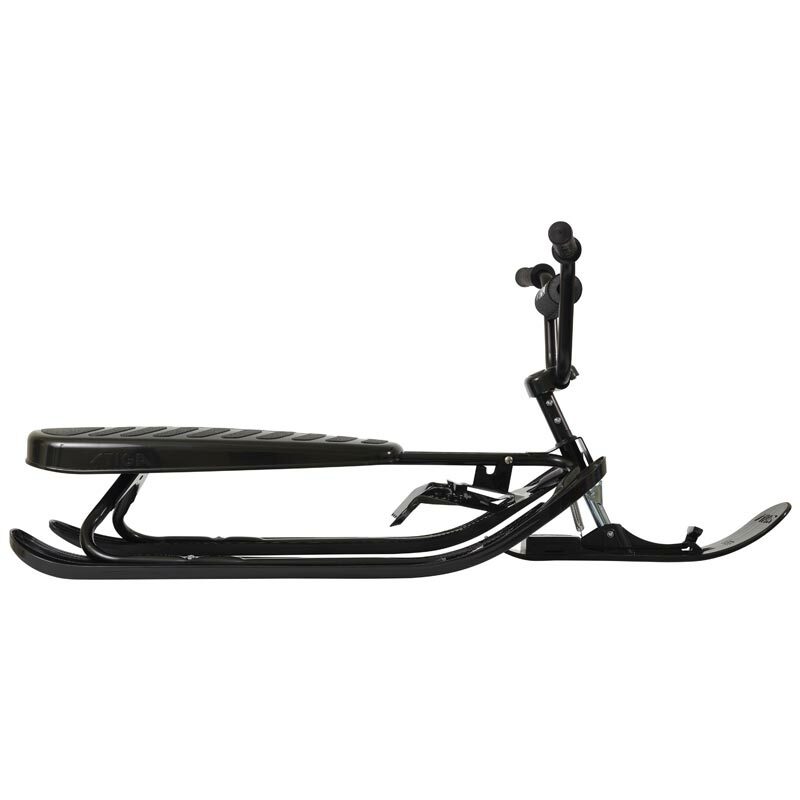 PRO model has an automatic winder which makes it more comfortable to pull the Snowracer. Twin Tip skis and carving shaped front ski for improved steering. L120cm x W50cm x H21cm (Seat) or H45cm (Top of steering wheel).